rendering into eps issues a bug? Subject: rendering into eps issues a bug? Attempts tp print the plot on eps using e.g. for qt and fltk the eps file is appended. A screen mask appears to have been overlayed over symbols plotted using the 2nd and 3rd call to plot. The points that are shown correctly in the eps file are from the first call to plot. Prev by Date: Close GUI But (Temporarily) Persist Plot Windows? 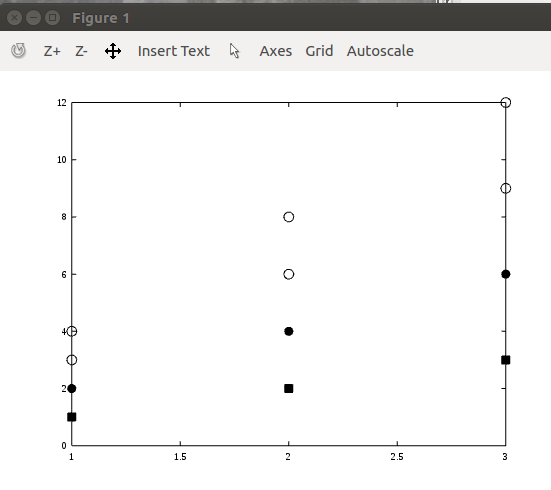 Previous by thread: Close GUI But (Temporarily) Persist Plot Windows? Next by thread: Re: rendering into eps issues a bug?